The Addams Family Musical, King's Theatre, Glasgow. You know I’m a fan of giving it away up front - if you’re looking for a good night out – book this show. Before is started I was humming the iconic theme tune and Scott said ‘If they don’t use that I’m going to be so mad.’ I of course replied with ‘Don’t be daft, of course they’ll use it.’ He countered that point with something else we’d seen on stage that hadn’t used a few iconic bits from a film, and placed a seed of doubt in my head. 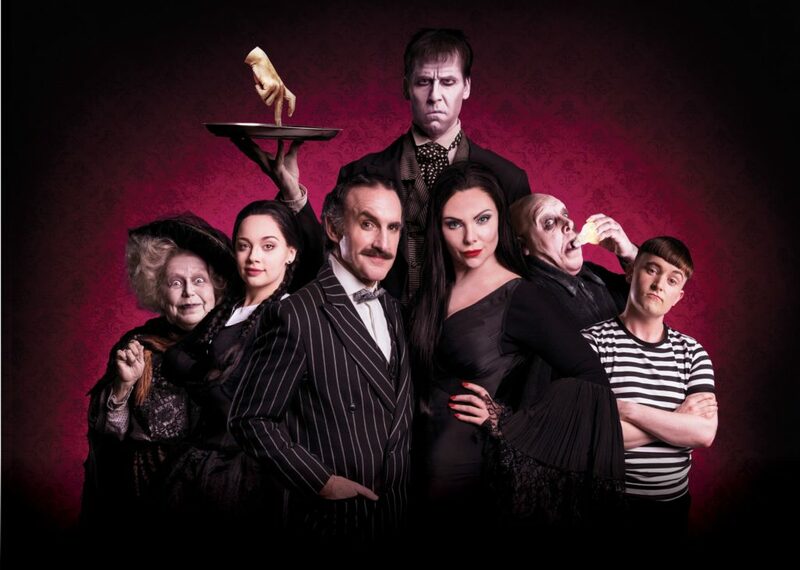 I needn’t have worried, The Addams Family the musical might be a musical, and a different form, to the strips and films, but they pay homage to their relatives and the stage show opens with those 4 notes repeating, and a bodiless hand clicking along from through a letterbox. However, it totally is its own thing – the characters are different interpretations to those that Scott and I know and love from the Anjelica Huston and Christina Ricci films. It wasn’t like seeing a second rate version of those films on stage – and really, with a cast as stellar as this one, how could it ever have been? Carrie Hope Fletcher always gives a phenomenal performance and this was no different, I was blown away again and again by her voice, but I also was awed by Cameron Blakely as Gomez. Gomez and Fester are the heart of this show, and what heart they are. Scott Paige, understudy for Les Dennis, was performing the role of Fester the night and he was phenomenal. His version of Uncle Fester was a bit like if the Uncle Fester we’re familiar with got together with Varys from Game of Thrones and had a baby – it was fantastic. I’m going again tomorrow and Scott’s performance is one of the main things I’m looking forward to. Well, that, and Lurch – but I don’t want to say too much there (get it?!) and spoil it for you. It’s Friday the 13th of Halloween month – treat yourselfto some tickets! Loved this musical. I saw it in Edinburgh earlier this year and it makes me laugh!